Youth Policy in Africa: a promising future for the African development? Young people are perceived to be an important strength of Africa, as well as globally. This urges a necessity for practical policies and related programs that engage youth successfully in all aspects of growth of their countries. Today, Africa needs more than ever to address the necessity of implementing youth policies to support the development and inclusion of the young generation. One of the biggest challenges facing governments in Africa is providing employment opportunities for more than 200 million young people so that they can have decent lives and contribute to the social and economic development of their countries. The establishment of youth policies in Africa is quite difficult because of limited data which delays the measurement of the well-being of the African youth. Although the available data says that the youth population is largely growing, African youth has educational attainment but at the same time high unemployment rates. Also, the lack of a universal definition of “youth” makes measuring the youth problems in Africa more difficult and the comparison of data across countries less consistent. The youth population in Africa consists of about 200 million – 20 percent of its population of more than 1 billion. This is a very large population. In order to find effective youth policies, it is important to deal with the challenges facing youth, such as the lack of access to quality education; high rates of unemployment; and huge numbers of people suffering from poverty, political non-engagement and poor environmental health. Previous policies and actions implemented have not successfully addressed the challenges of the youth, for example, the high unemployment rates, especially among women with significant regional differences and unpleasant consequences such as poverty, migration and diseases. Moreover, information on the development and implementation of youth policies in Africa are hard to find, even though countries of the region are at different stages in their youth policies process. Nevertheless, the estimation of problems facing young people is being compromised by data limitations. These limitations are reflected in the lack of jobs and youth economic growth agendas; a lack of comprehensive youth policy and the absence of its integration into national development plans. The African governments lack the capacity to assume comprehensive monitoring and evaluative processes. An overview of the situation in African countries – although regions may differ – highlights several priority areas, particularly education, employment, health conditions and political participation, in addition to gender issues. The economic issues concerned include how to deal with the huge youth unemployment rates by using an integrated approach and implementing various labor market policies. In order to achieve that, the national policies need to foster formal education – quality education – and training to increase opportunities for skilled youth who are ready for the job market. In most African countries, cultural oppressions limit opportunities for youth to express themselves and to meaningfully participate in national social and political dialogue. Broad-based participation of the youth would advance good governance to improve democracy in the region. There is a lack of comprehensive youth policies which are not part of the national development plans because neither human nor financial resources are devoted to youth issues. This has resulted in governments lacking the capacity to assume comprehensive monitoring and evaluation of processes. The key recommendations arising from this analysis spotlight on harnessing the potential of African youth to boost economic development in the labor market to improve their living conditions. Also, boosting their participation in the political level is important in order to meet their needs. African governments need to build institutional quality policies so as to respond effectively to the needs of individuals and organizations. It is highly recommended for policy-makers to establish a continuous evaluation approach in which they can test whether policies and actions have an impact on youth. Also, governments need to include gender issues in their policies because females have been neglected despite their potential to contribute to the wealth of African countries. Africa’s youth population is expected to grow in the upcoming years while the youth population in other parts of the world declines. Africa is the youngest continent in the world with about 70 percent of its population being 30 years of age or younger. It is time to stand up, act and change! There will be no future development in Africa if its countries don’t invest in their youth. The richness of Africa is in its youth – something to appreciate and save. Youth unemployment in Africa, whom to blame? Do the African governments establish any national plans to confront the economic crisis facing their youth? Are Africans in Diaspora a forgotten element of the African economic development? Who should be blamed? The foreign colonization? The African governments? Or the youth themselves? One of the biggest challenges facing governments in Africa is providing employment opportunities for more than 200 million young people so that they can have decent lives and contribute to the social and economic development of their countries. Actually Africa has the fastest population growth predictable between now and 2050 and the youngest population in the world. It is decisive that governments react towards this youth growth into national and social development planning. Youth employment challenges in Africa are most of the time perceived as a result of rapid population growth rates, and then it becomes hard to control and to correspond to all the needs. Actually, it is not the numbers of young people that has led unemployment, but lack of specific structural strategic planning where it should meet the needs of every individual country. It is not possible to apply the same plan confrontation of economic problems to all African countries, since every country has its specific characteristics and needs, African governments need to inspire from example models but implement it within the conditions and the priorities of their home countries. It is true that a growing youth population is a challenge for Africa today, but it cannot be the reason behind the unemployment figures in Africa. These figures are largely the results of specific economic and political behaviors. Like for example: lack of investments in infrastructure and enhancing sectors with potential for creating jobs, lack of evaluating and developing policies on economic growth in Africa, lack of investing in rural areas and rural youth. One of the biggest losses of Africa today, is the lack of communicating and investing in youth in the Diaspora, youth Diaspora is outstandingly situated to contribute to boosting the economic growth and prosperity in Africa, and they bring a unique point of views to the discourse on Africa because they have experienced both worlds. They often choose to stay in their host countries because of the lack of not only investing on them, but also lack of decent jobs and complexity of procedures to implement their projects that would lead to economic growth, which in the other hand easier in their host countries, by that Africa loses a rich contributor element and call for professional foreign help. Levels of education in Africa are moderately low creating a suitable skills gap among youth at working age. This generates lack of skills meeting the needs of the job market. Though young people today are better educated than their parents, they remain about twice as likely to be unemployed than their elders. This is partially because of a divergence between their skills and what the work market is seeking for. The African Development Bank estimated that 25% of African youths are still illiterate and even though a rise in primary school enrolment, the lack of skills levels in the workforce will continue to be a crucial problem facing Africa, unless African governments start to develop educational strategy that meet the job market. 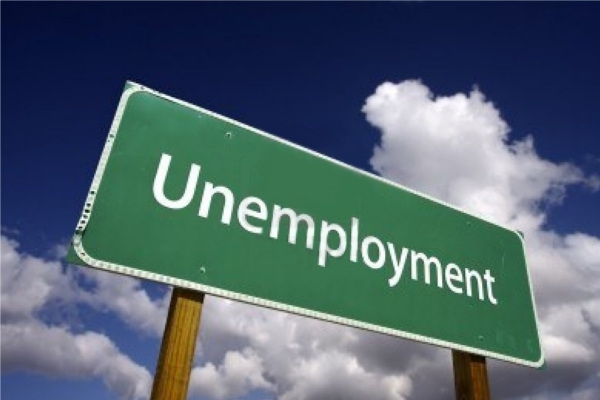 In fact, there are some initiatives launched to confront this issue, for example in Senegal, there is an initiative called the Agence d’Exécution des Travaux d’Intéret Public, where unemployed youth are trained before getting permanent jobs. In Burkina Faso, through a project, student attend school and at the same time work as trainee to learn industry specific skills. Nonetheless, with increasing numbers of youth population, these few initiatives aren’t able enough to face the unemployment issue and the difficulties that come with it. We often hear that the lack of development in Africa is due to the colonization effects, well many countries of the world have been colonized but moved on, including developing countries, sometimes I think Africans are colonized in their minds when they keep holding the idea of blaming the current situation on history colonization even though there might be an effect, but our concern is to find out solutions and to move forward, make a development not as a desire but as an action. Africans need to look on the future and stop looking back on the past. The relationship between population and youth unemployment is very complicated. As populations increase, concentrated efforts are needed to be done to avoid the youth exclusion from work market and lack of economic growth. To do this, African countries need to address the economic growth issues through transformative economic and social policies. It is our duties as individual as well to find solutions, to contribute in an innovative way to develop our communities and countries, it always starts with oneself. As Socrates said: “THE SECRET OF CHANGE lS TO FOCUS ALL OF YOUR ENERGY NOT ON FIGHTING THE OLD BUT ON BUILDING THE NEW”.